If you’re in the market for a pair of cheap Bluetooth headphones, Amazon is offering AUKEY Bluetooth Headphones for just $11 when you use promo code AUKEPB24. These Aukey headphones have a magnetic clasp. While the AUKEY Bluetooth Headphones aren’t going to be the best-sounding earbuds in the world, they’ll surely do a good enough job for most people, especially if you don’t consider yourself an audiophile. What makes these particular headphones such an awesome deal is that they provide good sound, a built-in microphone for taking calls, and up to 6 hours of battery life all while being comfortable. 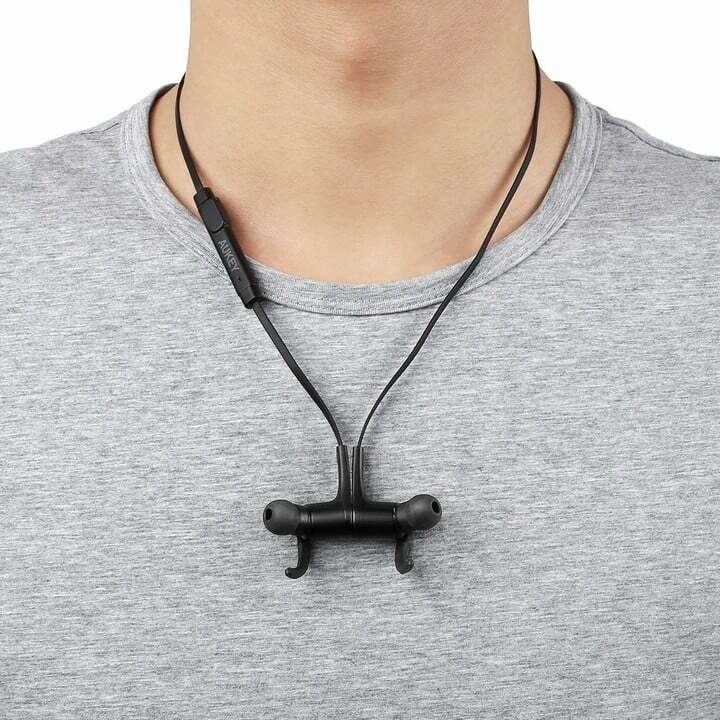 They also have a built-in magnetic clasp which allows each bud to connect to each other, a nice feature to help prevent you from losing them. While these don’t have the highest rating in the world, a 3.5-star rating is not bad, especially for the price. 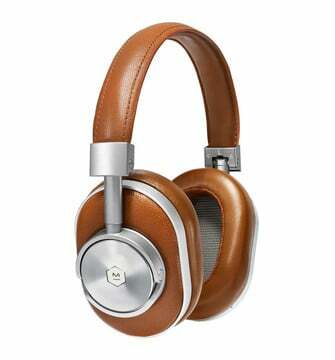 These are great headphones for people who don’t demand the absolute best and want to save a few bucks. 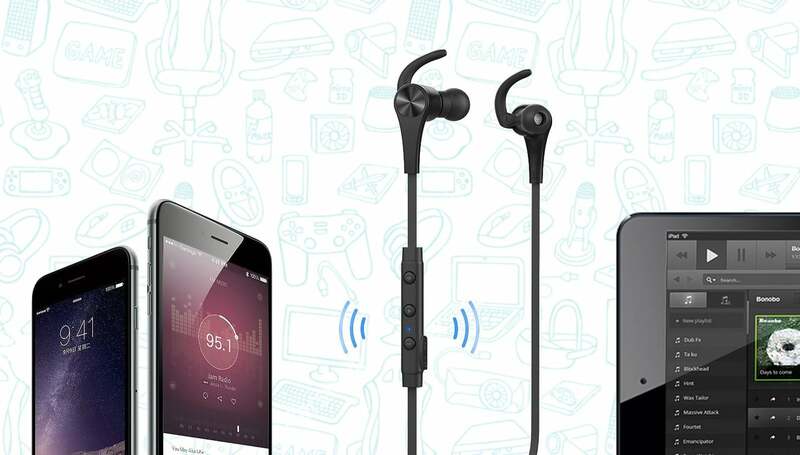 For just $11 bucks you’ll also get a micro-USB cable to charge your headphones, a set of extra ear-tips in case you lose or need to replace them, and a 24-month warranty. Not bad! Interested? Follow the link below! Just be sure to use the use promo code AUKEPB24 at checkout.